Here is a very simple solution to get Realtime Tick Charts in Amibroker using Metatrader DDE Server. 12)Now you will notice that yellow WAIT signal status changed to green CONN status. 13Bingo! 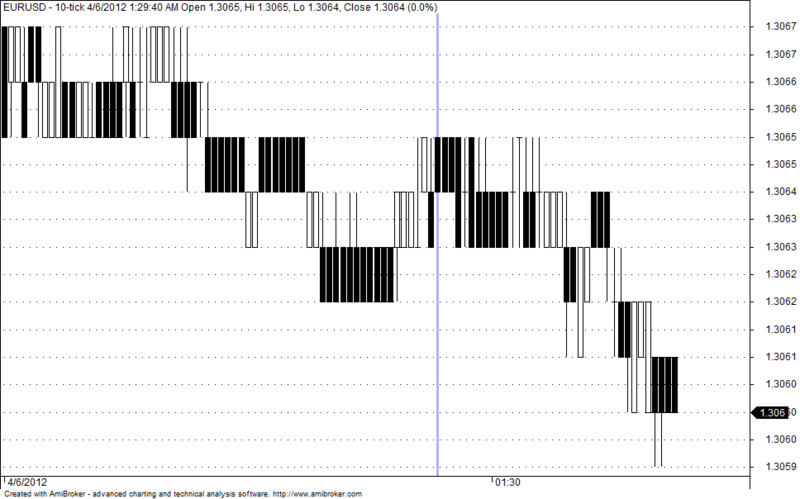 Tick charts will be coming to amibroker in realtime from MT4 DDE Server. MT4 Plugin for Amibroker Do you ever tried testing of real time charts in your Amibroker Software. If not then try start with MT4 Plugin for Amibroker to analyse live forex data. Dear Rajendran Sir This is Very Nice Post and Very usefull to All and pls find How can Backfill Data MT4 to Amibroker if that is manual also no problm. pls find it Thank U. How to convert metastock formula to amibroker afl? @Jitin: Which formula you need to convert to amibroker. Can you give me the formula here so that will try to work on it. I am a beginner in technical analysis. Can please help to get real time data for metastock 8.0. I searched everywhere but all the sites are giving trial ver or limited stocks data. Please help me. I am a beginner in technical analysis. Can please help to get real time data for metastock 8.0. I searched everywhere but all the sites are giving trial ver or limited stocks data. Please help me. If possible reply me on my mail ID. can it’s work in window 7 or only window XP ???? i have window7 in my system…………………. Sorry for this simple/silly question -- but why do we have to use Metatrader to get Real-Time data. 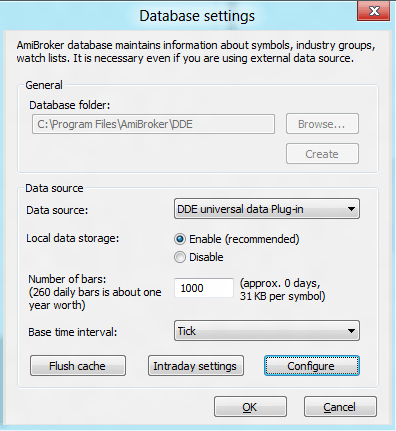 why can’t we directly import real-time data into Amibroker? im using india bulls account for trading ? @Tony you can get any chart of your interest. The only thing is the mt4 broker should provide those symbol on its platform. can i get a demo account with the USDINR nse currency chart ? Thank you so much for this post. It helped me in a great way. sir, new in this field. kindly help me. I want to get software that provides real time EMA,SMA, CANDLESTICK INDICATOR.RSI&MACD. pls help me. 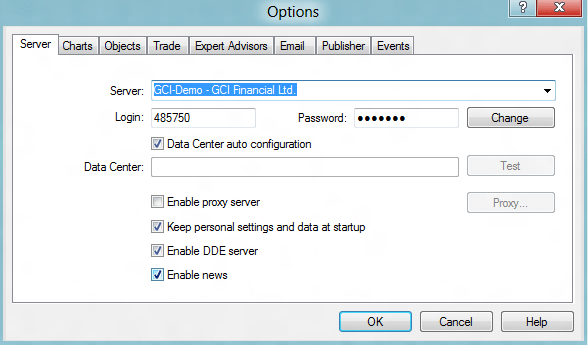 Mr Rajendran I tried Metatrader to Amibroker Tick Charts using DDE universal plugin settings i did till that configure in my amibroker window that configure button is not highlighted to click it it looks like it has been disabled what should i do now? I do trading in currency in India, want to know more about software. Hi Rajendiran, I did as u said. In Amibroker it will show WAIT in yellow. I added all script as mentioned in MT4. But not connecting. Please help. I have the same problem like Rajesh. Can anyone help? 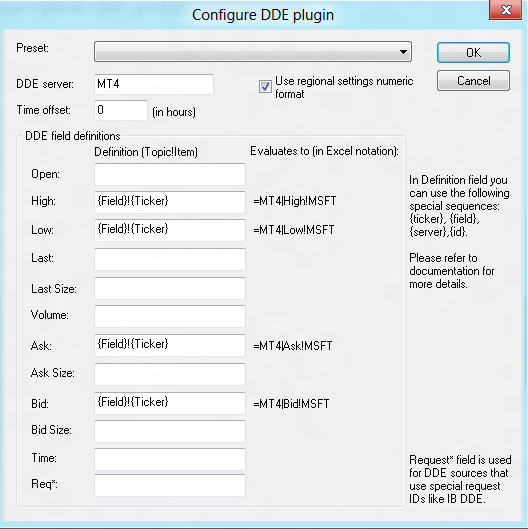 I use YTFX MT4 (youtrade MT4)…so what should i write in DDE server while configuring? I wrote MT4 and it didnt work…..